I actually got some gaming stuff for Christmas this year, thanks in part to Netflix. To be honest, the mini was of no interest to me until Stranger Things. I've been wanting one since that first episode. And now I have it. Also have an old '80s Ral Partha hydra that was sold with it. ...which I did. When I was a kid, a friend down the street had the original and I remember enjoying it. It wasn't exactly a gateway into D&D for me, but I enjoyed board games in general, and it predated my being introduced to RPGs. For various reasons, I backed out on actually wrapping it & gifting it to the family and will probably return it to the store in a few days. On the other hand, I have been considering picking up something for myself for solo play. 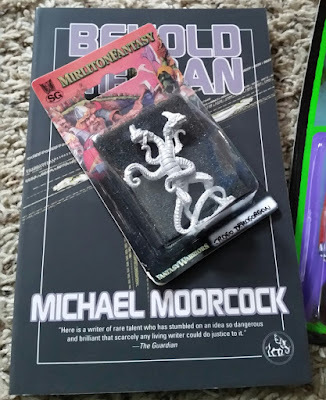 I don't have the space for solo miniatures gaming any more, and I think I am close to admitting defeat in trying to force myself back into the hobby of playing games with other humans. (Same time & scheduling problems, etc.) 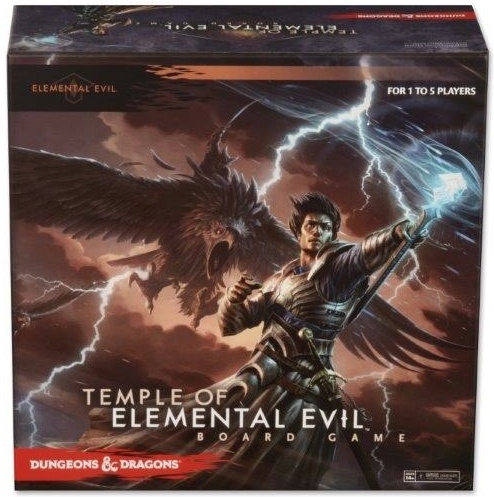 So I've started looking into computer games and solo board games. 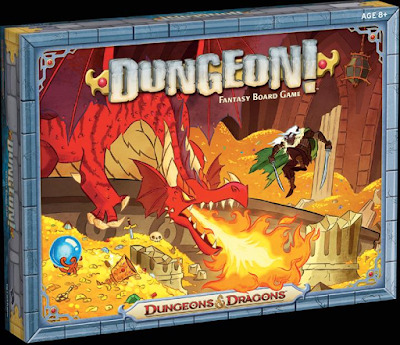 Some of the modern D&D board games are supposed to be decent for solo dungeon crawls. I'm torn, though. I like the idea of getting away from digital screens. And although they are board games, they still have a tangible element, including miniatures. Not wargames or battle games, though. Computer games seem like they offer more in terms of depth & responsive AI, and I can find some larger tactical battle games. I'd rather reduce my time in front of a screen than increase it, though. I guess each option has its pros & cons. I'm not crazy about the KoW fluff either. I don't pay it much mind. I do like the mechanics, though. Looks like they changed the character classes and not much else! Still cheap and cheerful and incredibly random. I don't know if I'd bother with a full 3d board, but maybe a larger sized one. And definitely just minis for the players, not monsters. I have vague & distant memories of TSR doing one at GenCon long ago. It was significantly larger than the game board, IIRC.